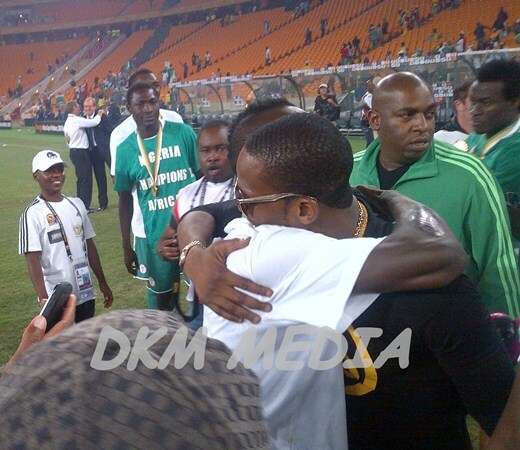 D’banj was spotted on the football pitch celebrating with the Super Eagles of Nigeria last night after Nigeria defeated Burkina Faso in the final of the 2013 African Cup of Nations in South Africa. 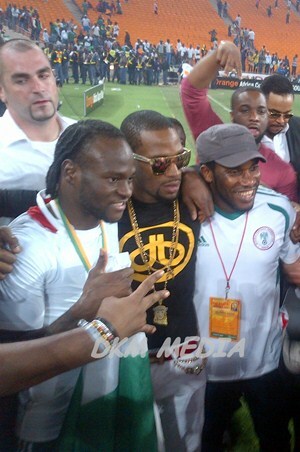 The pop star had earlier performed at the closing ceremony of the tournament. The bright hope of Nigerians. 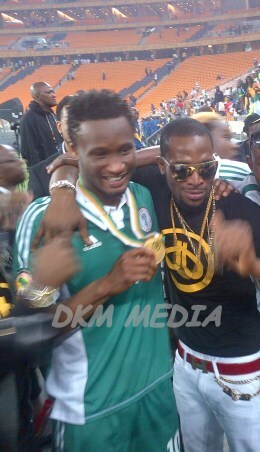 Even Dbanj knows it. una no go beg me? Was he a sagging his pants? Who gets tired of what stimulate good mood? Koko Master!!! OSHE!! I wonder what would have happened if we loss. Coldfeet: Was he a sagging his pants? Ghanaian! Hater! You better start loving, the end is at hand. Don't die to find yourself dining and wining in hell. pls who is the second guy on black suit? His DI*K will also be fine for your ....... too,or what do u think? 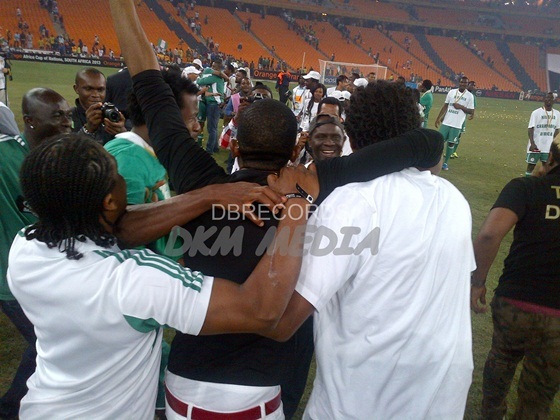 dgb4: pls who is the second guy on black suit? Na my assistant wey I dey send to him be that. 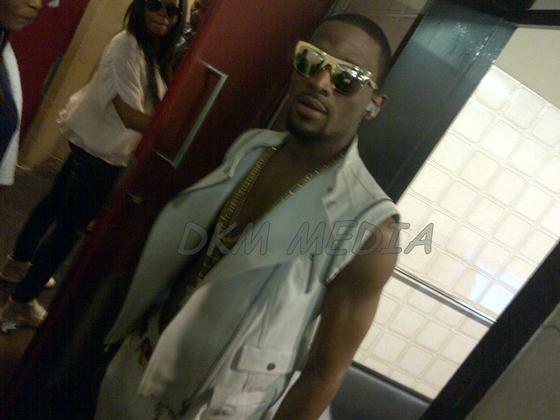 Na me supposed D'banj to be called for the closing ceremony. He come hug him in appreciation. 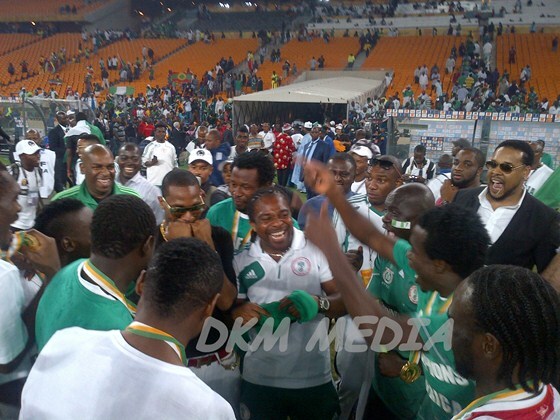 for muzic and futball, 9ja abeg tell me who get am 4 africa? GA and SA mek una go hug transfooooooorma. your eyes saw it too ? she merely stated an obvious fact. Does it mean any time a guy says a girl is fine he wants to sleep with her? I don't think so! Dat might b d only good news this year. Make we savor the moment before all these APC, CPC and PDP goons come spoil everytin.